As previously noted, we went up to Nova Scotia last week. What we didn't mention is how we got from Maine to Nova Scotia, since going by land is 10 hours and the Miata doesn't swim well. 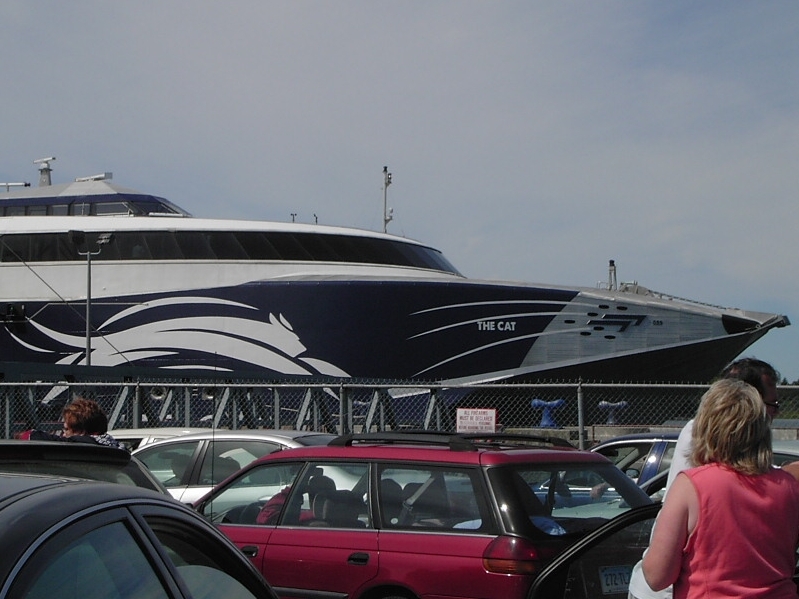 Specifically, we rode the fast Cat Ferry. I especially like how the ship's hull motif includes a nose, muzzle, and whiskers.